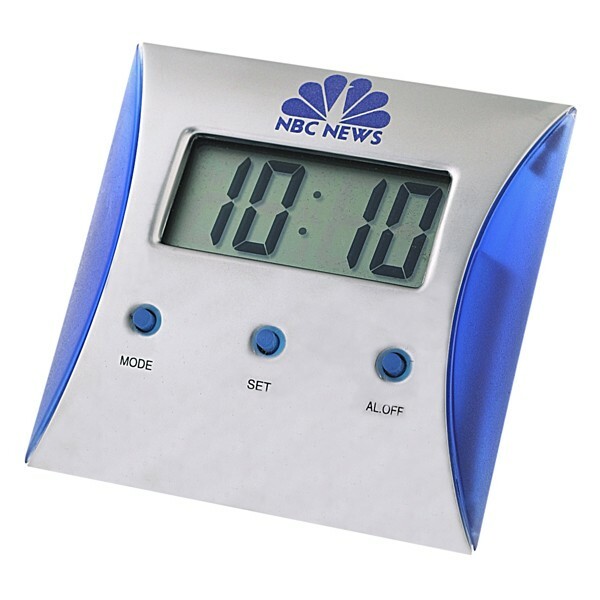 Contemporary desk alarm clock with pearl chrome finish and blue acrylic trimming. 3 1/8L" x 7/8W" x 3 1/8H"
Price includes a 1 color, 1 location Pad Print. Upgrade to Laser engraving for $1.25 (g)/pc.